UC Health Primary Care | Bolden Instrument, Inc.
Bolden Instrument, Inc. is delighted to count UC Health among our clients. The microscopes at Wyoming Family Practice have been fully serviced, cleaned and repaired in order to keep pace with the amazing staff. For maps and directions to each of the UC Health Primary Care locations, click here. 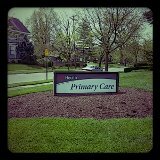 UC Health Primary Care is proud to have nearly 20 internal medicine and family medicine primary care practices located throughout the Tri-state area. Our primary care physicians are board-certified in general internal and family medicine and are dedicated to providing compassionate care. 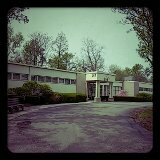 We make patient service a priority, and our mission is to exceed your health care expectations. In addition, we provide a full range of services to meet the needs of you and your family, from injury or illness care to preventative screenings and immunizations.